The construction site accident investigation proceeds through two routes – utilizing the facts and through the law. Investigation may rely on scene evidence such as photos, witnesses, business records; materials provided by the property insurance investigators and workers’ compensation carriers, and most importantly various reports from the OSHA. Moreover, this material may also be supplemented with the help of a private investigator for obtaining other important pieces of information that can play a crucial role in the investigation. OSHA regulations are applicable between an employer and an employee. Salient of OSHA standards are the concepts of ‘creating employer’ who is involved in creating the hazard in the first place, ‘exposing the employer’ which points to the person responsible for exposing the people to the perils of construction work, ‘correcting employer’ on whom lies the responsibility to remedy the risks involved in the work, and ‘controlling employer’ in whose hand the authority of the hazardous locality lies. 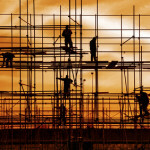 All of these categories may include the vendors, owners, contractors as well as subcontractors or any other person who has any sort of control over the site where construction is being carried on – regardless of the fact that they did or did not give the worker’s compensation coverage for the person in question. Any of these individuals must also be taken as likely defendants. OSHA standards also include various categories in terms of hazard control such as ‘hazard elimination’, ‘hazard substitution’, engineering and administrative controls, and also the equipment used for personal protection. These standards can play a pivotal role in making convincing arguments. For instance, the construction owner is aware that the subcontractor may allow his workers to work without proper protection such as appropriate staging, providing required equipment and training workers for safety. This makes the owner the ‘controlling employer’ and subjects him to OSHA standards. In incidents like when a worker is gravely injured due to a fall, these standards provide a basis for making the key arguments. Even in the case of comparative fault, the defense is more likely to come out in the worker’s favor. Construction workers form a large part of the industry workforce and OSHA standards can be very helpful in creating a strong case for the worker and to trace the actual party responsible for the accident.